This composition is based on the painting of the same title by Joan Miró. It is a short piece in a “naïve” style. 1986 was a prolific year for Jesús Rodríguez Picó. He composed agreat deal of works, some of which were based on literary texts and pictorial works. 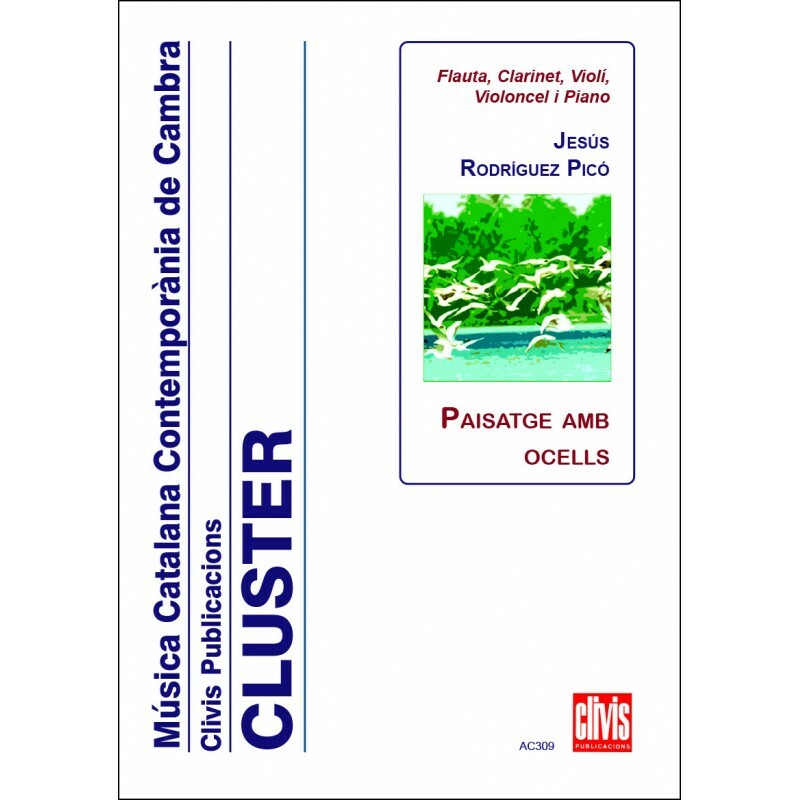 Clivis Publicacions had already published Preludi i dansa per a clarinet (Prelude and dance for clarinet, ref: AC174) from this period and Paisatge amb ocells (Landscape with birds) inspired by Joan Miró’s painting with the same title, is now coming to light. Miró’s painting served Rodríguez Picó to compose this work with a somewhat “naive” aspect, avoiding technical complexities. 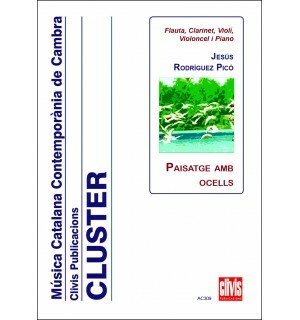 Paisatge amb ocells (Landscape with birds) is a short piece for five instrumentalists. 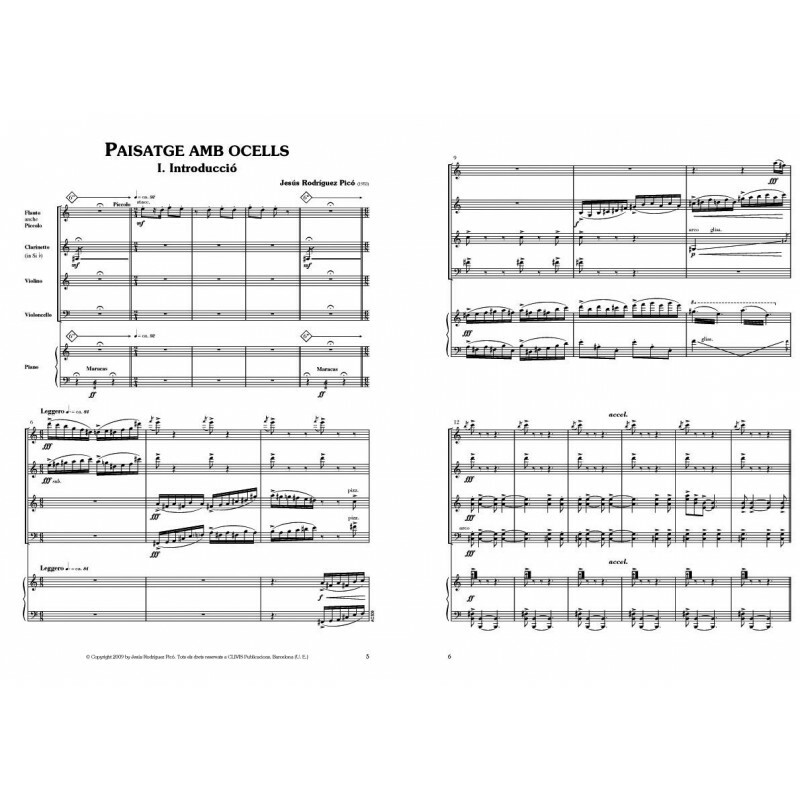 The basic group comprises violin, cello, flute, clarinet and piano, and the flute player also plays the piccolo and maracas in some passages, whilst the pianist also plays the maracas and a Swanee whistle (jazz flute). The work was completed two years prior to the death of the great painter from Barcelona. The composer uses several compositional techniques, incorporates tonal melodies and elements from traditional Japanese music, and makes references to other contemporary composers. He also uses an almost choreographic element making some of the musicians leave the stage in the final bars. The chamber music work means that performers need to pay a lot of attention to the parts of the other instruments, especially in the fragments of random repetition, but the result is very sharp and natural. Structurally, the work comprises four small movements: the two central movements are in the style of a dance, whilst the two end movements are flexible and allow the performer to play the open fragments as they please.